Rachel Platt’s storyline flows perfectly. She was born a self-described "Air Force Brat" in Topeka, then moved all around the country as her military father served where he was needed. From this experience, she learned some of the skills that would continue to serve her throughout her life. "When you're always the new kid, you tend to shake off a lot of social anxiety," she observed. "You start to see and place value in the things that we all have in common." Rachel gravitated to journalism early on and it would be her only career for a long stretch of her life. Not long after graduation, she joined WHAS 11 as an anchor in 1989. Through the years, she fell in love with our River City. She met her husband and raised three kids here. "This is the only place they've ever lived," she says, proudly. Over the years, she could be seen on the 4:00 p.m. and 5:00 p.m. newscasts and was one of the hosts of Great Day Live, the beloved WHAS weekday morning show. She enjoyed every minute of her career at WHAS, but the time came to try something new. 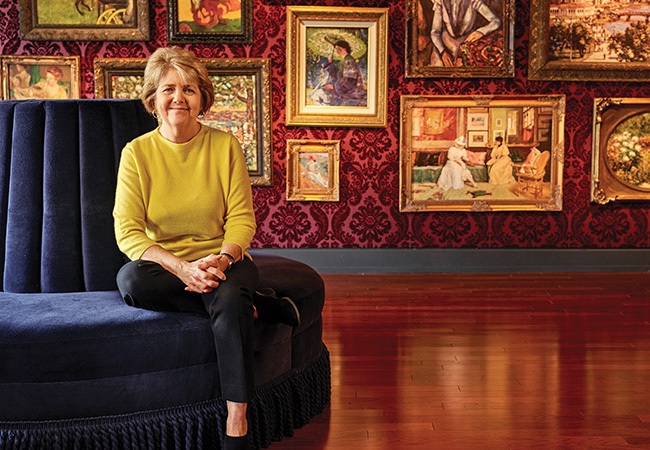 At the end of last year, she left WHAS after a 29-year run and has now taken on an exciting new job at the Frazier History Museum. Rachel is now its first Director of Community Engagement and Outreach and she enters at an exciting moment in the Museum’s history. She has arrived at a crossroads moment in her life, and she's accepting a challenging route. "There's this idea that once a woman reaches a certain age, her professional life is effectively over," Rachel observes. "I really hope to change that narrative. At this phase, we're smarter and more experienced than we've ever been. I will admit that a change this big is a bit scary, but I feel that this is the middle of my story. That's true for me as well as for the Frazier, so it just feels very fitting." Rachel is enthusiastic about the possibilities that the newly renovated Frazier and her role there will have to offer the city, and she will be the first face and handshake that many will associate with the museum going forward. "The city is changing so rapidly and evolving in so many ways," she says, candidly. "It feels like we're all working together to write this next chapter, and it's shaping up to be something really outstanding. I just couldn't be more excited." Rachel's trajectory follows a similar course as that of Frazier Vice President Andy Trenien. Andy also served as an anchor at WHAS years ago, even working right alongside Rachel on the air. His path took him off the air and into another passion, joining the Frazier in 2015 and taking a leadership role in this new direction, and his enthusiasm is infectious. 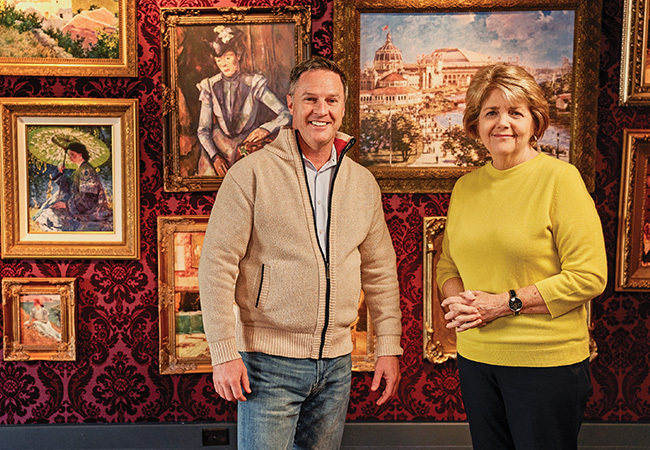 “We tell stories about the culture, the industries, the arts, and the people of Kentucky and the impact that the state has on the world,” Andy says. "It's really wonderful to be working with him again," says Rachel. "We always had a fantastic working relationship, and I can feel that we still do. It already has begun to feel like home here at the museum."